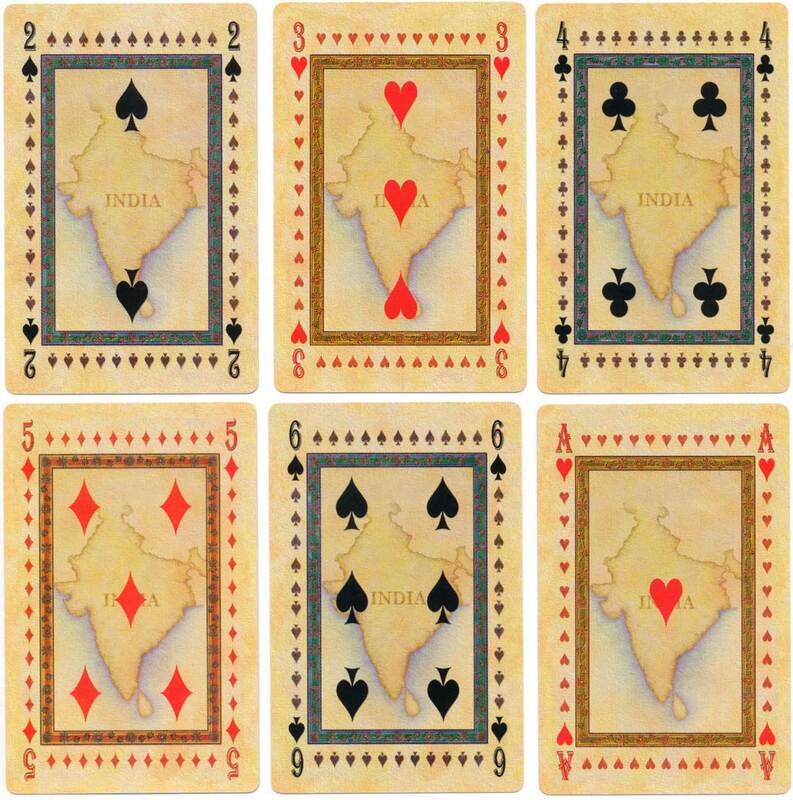 “SiRen International” playing cards based on traditional style of Indian miniature painting, 1998. 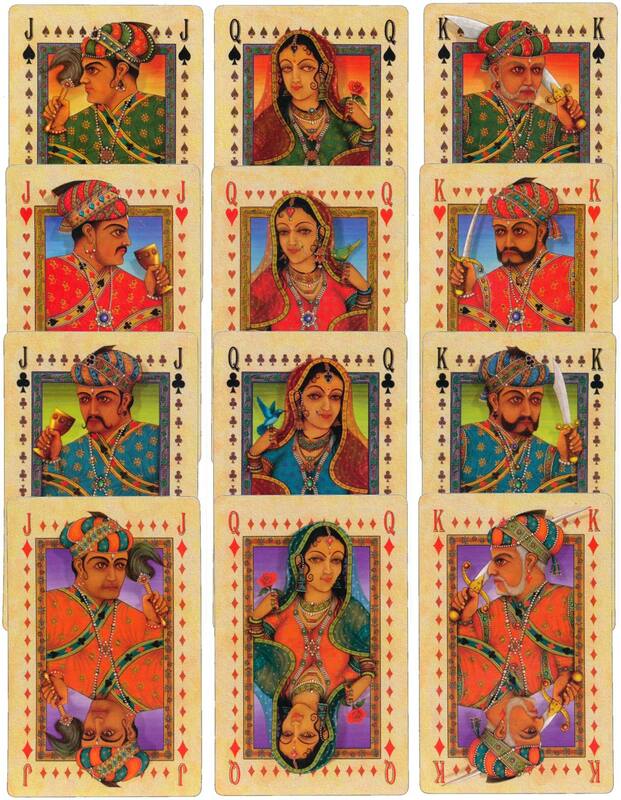 The court cards show Moghul and Hindu Kings, Queens and Princes. All Kings hold a sword, the Queens hold flowers and the Jacks hold a switch or a goblet. The back design shows an elephant with howdah, prince and mahout. 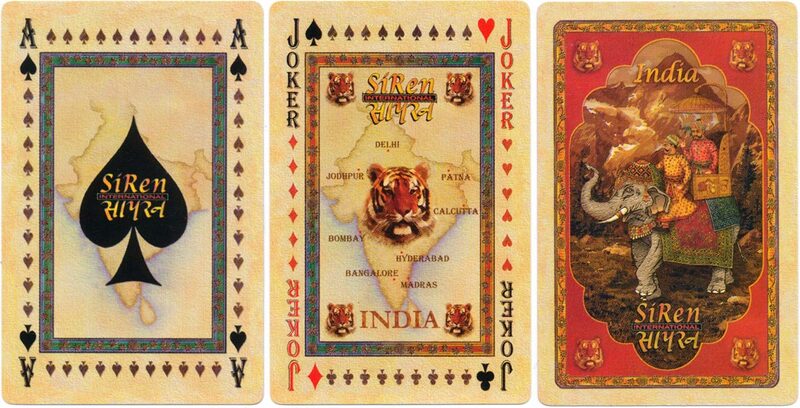 Tiger’s heads are featured in the corners; and again tiger’s heads appear on the joker. It is not immediately obvious why the word “SiRen” has a capital ‘R’ in the middle. 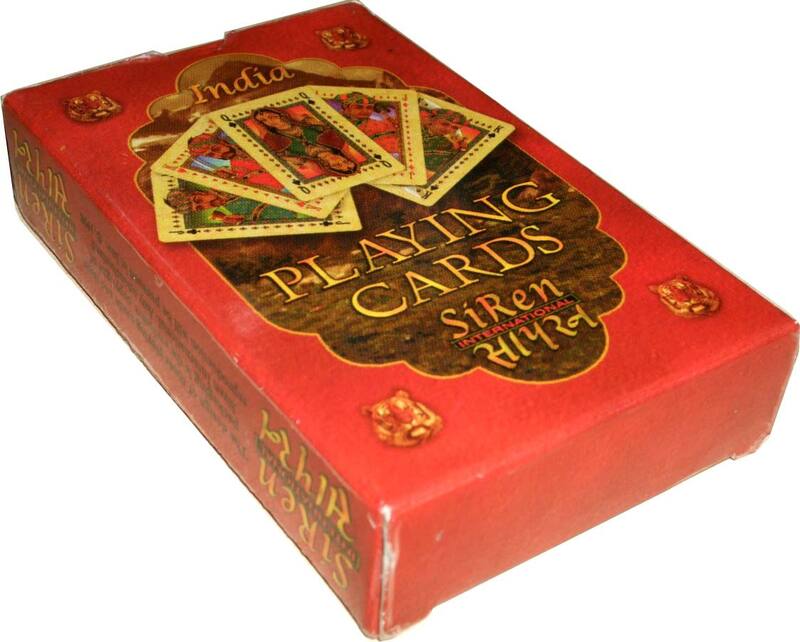 Above: “SiRen International” playing cards based on traditional style of Indian miniature painting, 1998. 52 double-ended cards + 2 jokers in box, anonymous manufacturer. Images courtesy Matt Probert.